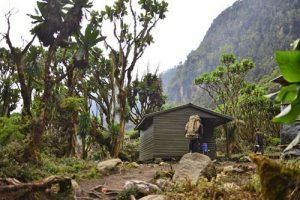 Dubbed the African Alps, adventure enthusiasts say that the Rwenzori’s offer far more than their famous neighbour, Kilimanjaro, with their ever-changing landscape and terrain. 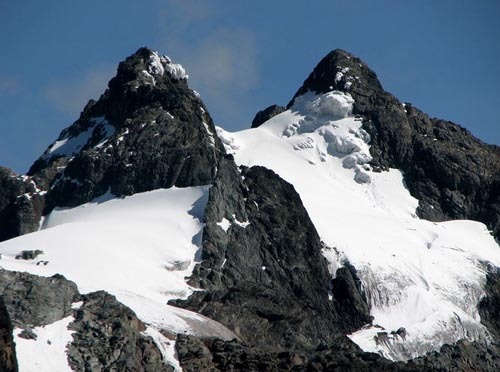 Rwenzori Mountains hold tropical glaciers that descend off the three peaks of mounts Baker, Speke and Africa’s third highest peak, Mount Stanley. If there’s a time to go, the time to go is now before global warming plays its part in reducing these pristine ice formations. Hiking into the Rwenzori range is like stepping into a lost world with only 2,000 visitors a year as opposed to Kilimanjaro’s footfall of 50,000. You can trek for a day or so and see no one but your guide and porter. You can be trekking in the tropical jungles and within just a few miles be battling the cold of glacial ice. In fact, there are five distinct zones of habitation generating a world of amazing biodiversity. At the base you have African savannah teeming with animals, above the jungle is the bamboo forest chattering with monkeys, the heath zone where lobelias have evolved into giants, the alpine zone where you will find plants unique only to the Afro-Alphine zone, and finally you will reach the summit which is wrapped in permanent snow and glaciers. The Rwenzoris have been recognised as an Important Bird Area with 217 bird species recorded to date, a number expected to increase as the park becomes better surveyed. If you’re particularly eagle-eyed you may even spot the elusive, brilliant-blue Rwenzori turaco. Look out over the Albertine Rift Valley and into the Democratic Republic of Congo. With views along the way reminiscent of England’s Lake District, it’s worth the 5-day climb. For any Harry Potter fans, you may have heard of Uagadou, an African school of Witchcraft and Wizardry. J.K Rowling writes that although Africa has a number of smaller wizarding schools there has been only one that has stood the test of time; Uagadou. Graduates are especially well versed in Astronomy, Alchemy and Self-Transfiguration. Regular hikers are only allowed up to the 1,600-meter slope zone. Beyond this lie areas that only serious hikers may explore. A World Heritage Site as declared by UNESCO, this mountain range promises a memorable experience to hikers who will dare to conquer its seven days-six night loop—a trail passing through its central circuit and through various vegetation zones. 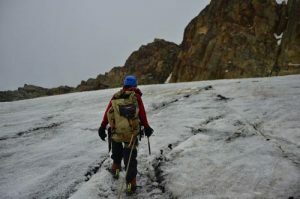 Shorter hikes are also available for those after a less challenging experience.